Portuguese Film, 1930-1960: The Staging of the New State Regime provides groundbreaking analysis of Portuguese feature films produced in the first three decades of the New State (Estado Novo), a right-wing totalitarian regime that lasted between 1933 and 1974. These films, sponsored by the National Propaganda Institute (Secretariado Nacional de Propaganda), convey a conservative image of both mainland Portugal and the country's overseas African colonies (Angola, Mozambique, Cape Verde, Guinea-Bissau and St. Thomas and Principe). The films about the mainland emphasize traditional values, the importance of obedience to authorities and a strict division of gender roles, whereby women are relegated to the domestic sphere. The Portuguese countryside, where age-old customs and a strong social hierarchy prevailed, is presented in these movies as a model for the rest of the country. The films about the colonies, in turn, underline the benefits of the Portuguese presence in Africa and portray the colonized as docile subjects to Portuguese rule. The book includes chapter summaries in the introduction, in-depth analyses of the most important Portuguese films produced between 1930 and 1960, a discussion of the main topics of Portuguese cinema from the New State, and a comprehensive bibliography that guides students who wish to read further on a specific topic. 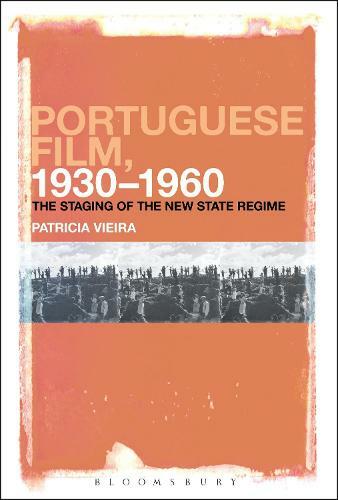 First published in Portuguese to wide acclaim, Portuguese Film, 1930-1960: The Staging of the New State Regime fills a gap in English-language scholarship on the history of the national cinema of the Iberian peninsula. Films covered include Fatima, Land of Faith (Terra de Fe), Spell of the Empire (Feitico do Imperio), and Chaimite.